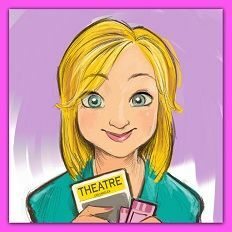 La Jolla Playhouse announced today an exciting new production for its 2010/11 subscription season: the world premiere musical Little Miss Sunshine. The Tony Award-winning creative team of composer/lyricist William Finn and writer/director James Lapine, who previously collaborated on the Tony Award-winning musicals Falsettos and The 25th Annual Putnam County Spelling Bee, will bring their latest project to the Playhouse. 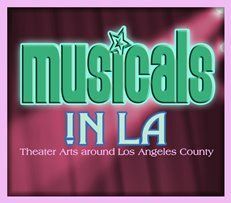 The production will run February 15 - March 27, 2011 in the Mandell Weiss Theatre. The previously-announced A Gentleman’s Guide to Love and Murder is on hold. Little Miss Sunshine is based on the 2006 motion picture by Big Beach Films and Fox Searchlight with a screenplay by Michael Arndt. The film received numerous awards, including an Academy Award for Best Original Screenplay. The Hoover family has seen better days. Richard, the father, is a floundering motivational speaker, Grandpa's been kicked out of his retirement home for doing drugs, and Uncle Frank's been dumped by his boyfriend. Moody teenager Dwayne has taken a vow of silence and overextended mom Sheryl can do little more than slap on a smile. 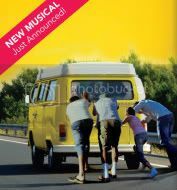 But when the youngest Hoover—energetic, indomitable Olive—enters a regional children’s beauty pageant, the family thinks their luck could change and embarks on a cross-country trek chasing the coveted title of “Little Miss Sunshine.” With a rollicking pace and moments of joyful abandon, Little Miss Sunshine is an outrageously funny and surprisingly touching new musical. Dates for the other previously announced Playhouse shows have been confirmed, including: Annie Weisman’s Surf Report, directed by Lisa Peterson, will run June 15 – July 11; William Shakespeare’s A Midsummer Night’s Dream directed by Playhouse Artistic Director Christopher Ashley, will run July 20 – August 22; Bill Camp and Robert Woodruff’s adaptation of Dostoevsky’s Notes from Underground, directed by Woodruff, will run September 17 – October 17; and the Pulitzer Prize-winning play Ruined, directed by Liesl Tommy, will run November 16 – December 19. Subscriptions to La Jolla Playhouse’s 2010/11 season are available by calling 858-550-1010 or by visiting www.lajollaplayhouse.org/.